Pro bettor Rufus Peabody was the leader heading into the Eagles-Saints game, but his Chargers-Patriots bet was not graded in time to reinvest in the later kickoff. Marcus DiNitto is managing editor of BetChicago, overseeing the editorial direction of the company and making sure it aligns with the company's broader strategies and objectives. He has held ME roles at SportsBusiness Daily, Sporting News and The Linemakers. Marcus has an MBA from UNC-Charlotte. 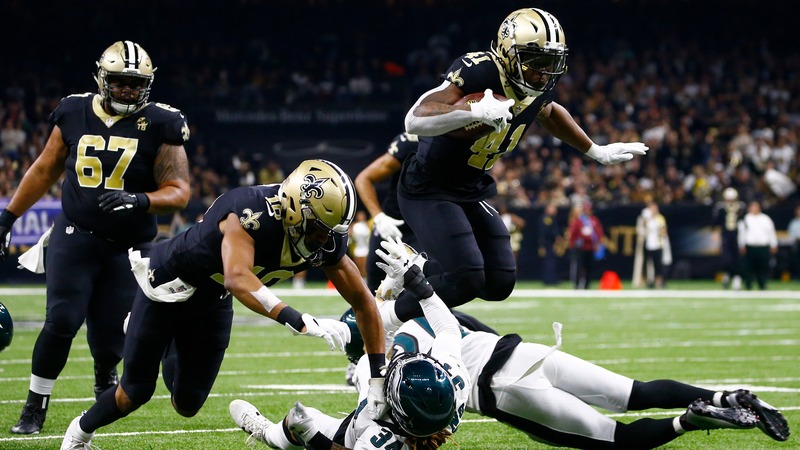 Falcons vs. Saints betting lines, trends, analysis: Does massive Thanksgiving point spread mark overreaction?